What are the foundations of corporate governance? When should a company go global? / When should it NOT? How to prepare family and founder-led businesses for strategic transition? Strategy: who decides and ... who benefits? 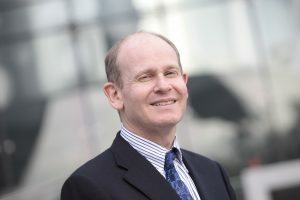 Harry Korine has spent two decades working on questions such as these, as a researcher and educator, and as an advisor to senior executives, directors, and business owners. Harry Korine teaches corporate governance at the London Business School and the Hochschule St. Gallen, and strategy at INSEAD. Most recently, he published “Succession for Change: Strategic Transitions in Family and Founder-led Businesses” (Palgrave Macmillan, 2017).